Abstract：The Beijing-Xinjiang Expressway (Linbai Section) traverses and adjacent to 3 reserves, and many wildlife crossing structures have been set up to mitigate the barrier effect, however, their utilization effects still remain unclear. From November 2016 to October 2017, 18 wildlife crossing structures were monitored using infrared camera technology. The results showed that: 1) At least 5 species of mammals and 14 species of birds were active using wildlife crossing structures, including the class Ⅱ nationally protected species wildcat (Felis silvestris) and Pallas' cat (Otocolobus manul); 2) Red fox (Vulpes vulpes) had a maximum relative abundance index (RAI) of 119.94, followed by Tolai hare (Lepus tolai) (RAI=53.31), wildcat and Pallas' cat (RAI=26.73), and hog badger (Arctonyx collaris) (RAI=5.25); among birds, black-billed magpie (Pica pica) had a RAI of 140.30, followed by chukar (Alectoris chukar) (RAI=95.57), and 12 other bird species (RAI=148.04); red fox crossed 8 of 10 bridges and 6 of 8 culverts, indicating the adaptation of red fox to the bridges and culverts; the utilization rates of bridges for red fox, Tolai hare, wildcat and Pallas' cat were higher than those of culverts. Therefore, bridges might be superior to culverts according to the overall utilization rate of mammals and birds; 3) Structure size was found to be the main factor influencing the crossing structures of birds and mammals. Water and vegetation also played an important role in guiding the movement of wildlife. This study suggested that future road design schemes including large and open crossing structures with permanent or temporal water and rich vegetation types might benefit the utilization of crossing structures by wildlife along the Beijing-Xinjiang Expressway. 龚明昊, 侯盟, 蔺琛, 等. 2012. 基于野外痕迹点和GIS技术定量评估步道对大熊猫活动的影响[J]. 生物多样性, 20(4): 420-426. Smith AT, 解焱. 2009. 中国兽类野外手册[M]. 长沙: 湖南教育出版社. 王云, 朴正吉, 关磊, 等. 2013. 环长白山旅游公路对野生动物的影响[J]. 生态学杂志, 32(2): 425-435. 王云, 关磊, 陈济丁, 等. 2017. 青藏高速公路格拉段野生动物通道设计参数研究[J]. 公路交通科技, 34(9): 146-152. 吴晓民, 王伟. 2006. 青藏铁路建设之野生动物保护[M]. 北京: 科学出版社. 西北濒危动物研究所(陕西省动物研究所), 交通运输部公路科学研究所. 2012. 北京至乌鲁木齐国家高速公路临河至白疙瘩(蒙甘界)段野生动物影响专题报告[R]. 北京. 殷宝法, 淮虎银, 张镱锂, 等. 2006. 青藏铁路、公路对野生动物活动的影响[J]. 生态学报, 26(12): 3917-3923. 约翰·马敬能, 卡伦·菲利普斯, 何芬奇. 2003. 中国鸟类野外手册[M]. 长沙: 湖南教育出版社. 张洪峰, 车利锋, 封托, 等. 2016. 秦岭林区公路野生动物通道设计与监测[J]. 公路, 3: 200-204. 朱玉峰, 沈毅, 董博昶, 等. 2013. 新疆明哈高速公路野生动物通道设置[C]//中国环境科学学会学术年会论文集. 北京: 中国环境科学出版社. Beckmann JP, Clevenger AP, Huijser MP, et al. 2010. Safe passages: highway, wildlife, and habitat connectivity[M]. Covelo: Island Press. Clevenger AP, Huijser MP. 2011. Wildlife crossing structure handbook-design and evaluation in north America[R]. Washington: Federal Highway Administration. Clevenger AP, Waltho N. 2005. Performance indices to identify attributes of highway crossing structures facilitating movement of large mammals[J]. Biological Conservation, 121(3): 453-464. Forman RTT, Sperling D, Bissonette JA, et al. 2003. Road ecology: science and solutions[M]. Washington: Island Press. Glista DJ, Devault TL, Dewoody JA. 2009. A review of mitigation measures for reducing wildlife mortality on roadways[J]. Landscape and Urban Planning, 91(1): 1-7. Ng SJ, Dole JW, Sauvajot RM, et al. 2004. Use of highway undercrossing by wildlife in southern California[J]. Biological Conservation, 115(3): 499-507. O'Connell AF, Nichols JD, Karanth KU. 2010. Camera traps in animal ecology: methods and analyses[M]. Switzerland: Springer. Pan WJ, Lin L, Luo AD, et al. 2009. Corridor used by Asian elephants[J]. Integrative Zoology, 4(2): 220-231.
van derree R, Smith DJ, Grilo C. 2015. Handbook of road ecology[M]. Oxford: John Wiley & Sons. Wang Y, Guan L, Chen JD, et al. 2018. Influences on mammals frequency of use of small bridges and culverts along the Qinghai-Tibet railway, China[J]. Ecological Research, 33(5): 879-887. Wang Y, Guan L,Piao ZJ, et al. 2017. Monitoring wildlife crossing structures along highways in Changbai Mountain, China[J]. Transportation Research Part D: Transport and Environment, 50: 119-128. Xia L, Yang QS, Li ZC, et al. 2007. 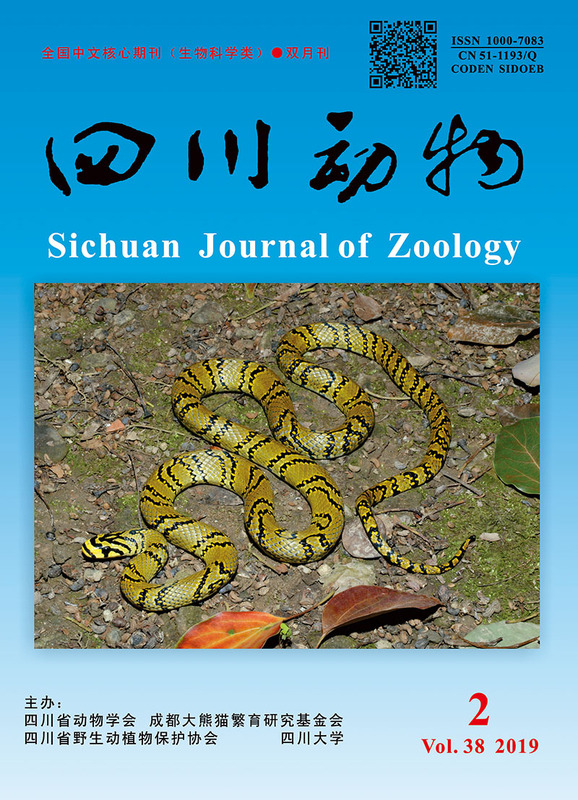 The effect of the Qinghai-Tibet railway on the migration of Tibetan antelope Pantholops hodgsonii in Hoh-xil National Nature Reserve, China[J]. Oryx, 41(3): 352-357. Yang QS, Xia L. 2008. Tibetan wildlife is getting used to the railway[J]. Nature, 452(7189): 810-811.